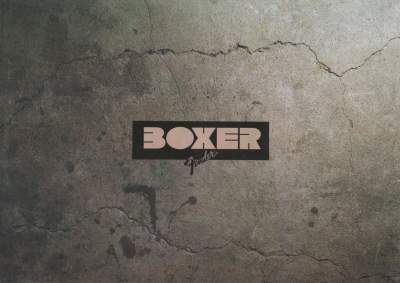 Enlarge Image Fender Japan BOXER series electric guitars / basses catalog. There's no date of issue, but probably middle of the '80s. Enlarge Image SYSTEM III locking tremolo system and "PERFORMER" series guitar/bass. 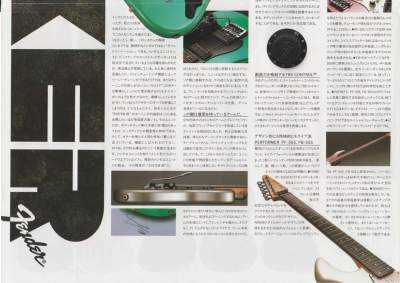 "PERFORMER" series has bar-type magnet pickups. 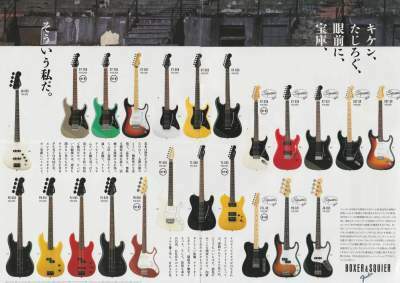 Enlarge Image Stratocaster ST-556, ST-555, ST-535, PERFORMER series guitar PF-555, telecaster TL-556, TL-555. Jazz bass type JB-555, Precision bass type PB-555, PB-551, PJ-555, PJ-535, PERFORMER series bass FB-555. 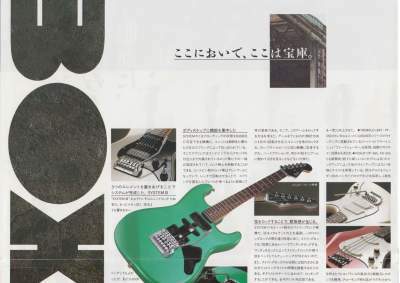 SQUIRE stratocaster ST-336, ST-335, ST-331, CST-30, SST-30, telecaster CTL-30, precision bass PB-331, jazz bass JB-355.